Joe Wiedemann scores music for orchestra, broadcast television, news specials, documentaries, film, and commercial videos. In addition to seven Emmys for television video-journalism, he's garnered three Emmy nominations as a composer, as well as three Silver AXIEM awards. Original works have aired in national syndication and various tv stations. Other musical works have been premiered by the Kiev Philharmonic, Colorado Youth Symphony Orchestra, and Cal Poly MIDI Ensemble. 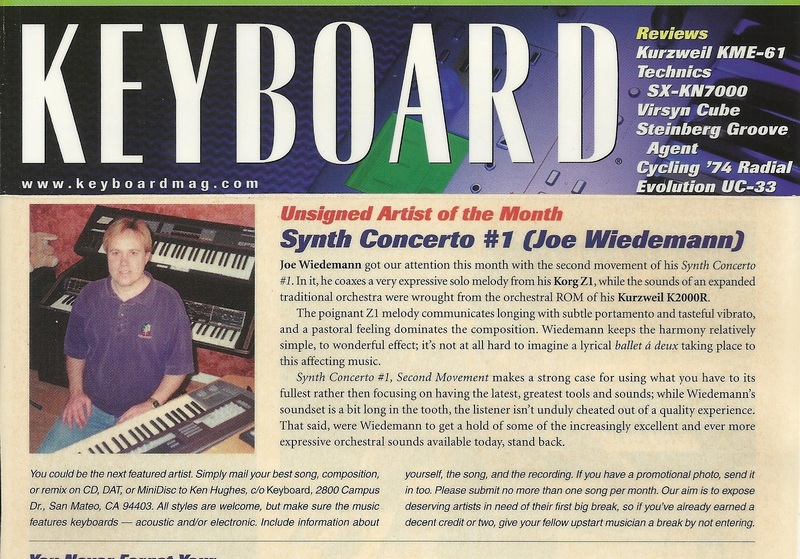 Joe was Winner of the American Idol Underground Inaugural Classical Competition, Keyboard Magazine's Unsigned Artist of the Month, and listed as Best Keyboards in Garage Band's Pop category. New Classical Music builds upon hundreds of years of musical evolution... what Mozart learned from Bach, what Tchaikovsky learned from Mozart, and on through to today. Joe's orchestral style offers a huge palette of instruments, sounds, and new musical techniques. Each piece has a noticeable connection to the emotion-driven orchestral styles of the classical masters. 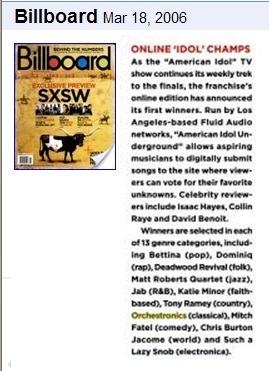 Joe's sheet music scores are generally suitable for professional, semi-professional, and university level ensembles. Works for smaller and varied ensembles make excellent educational tools. Producing and editing visual projects for television, music performance, and commercial use, Joe has integrated both his talents as a composer and videographer. Since 1981, Joe has also been a video journalist with KFMB-TV (CBS) in San Diego, crafting emotional stories daily. Just like getting a news story on the air quickly, budgeting music production time, and focusing one's energy on a tight deadline, can be a necessity. With a multi-disciplinary degree in radio/tv/film from the University of Evansville, and a double major in music, Wiedemann has been active in creating new works for concert performance. An album collection of original music under the name Orchestronics, explores countless varieties of orchestration using classic orchestral and electronic instruments. Wiedemann also publishes sheet music for his original works, geared mainly toward community and educational ensembles.